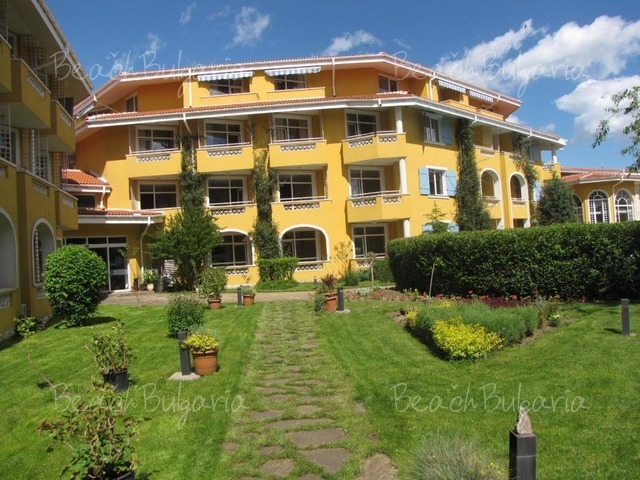 Blue Orange hotel complex is situated on the seacoast itself on the so called Tsarski beach dotted with sand dunes. 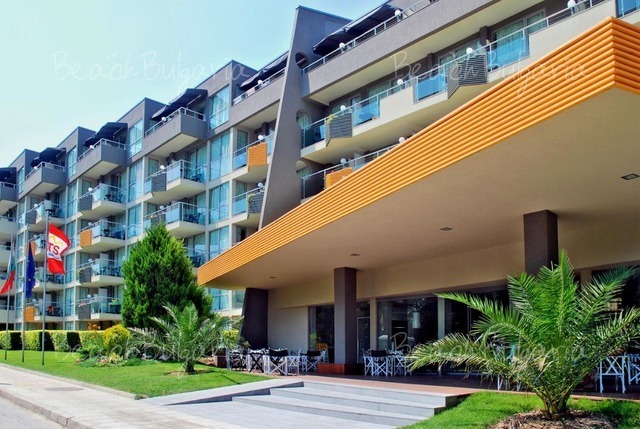 Blue Orange complex consists of 2 hotel buildings and 5 three-storey villas. 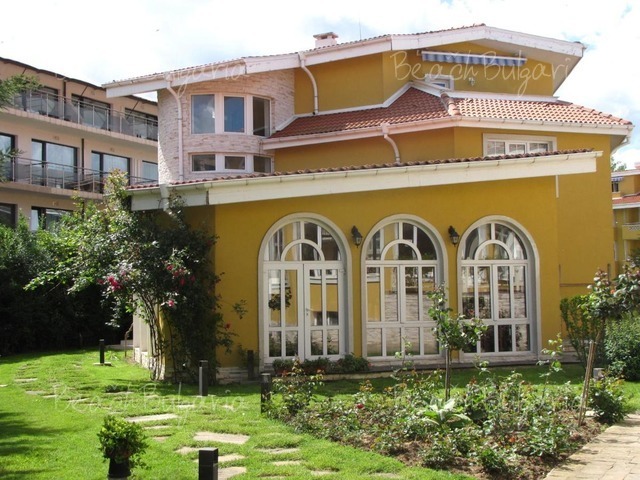 The complex offers accommodation in 62 double rooms, 19 studios and 23 apartments. The guestrooms feature air conditioning, Wi-Fi internet, cable TV, refrigerator. 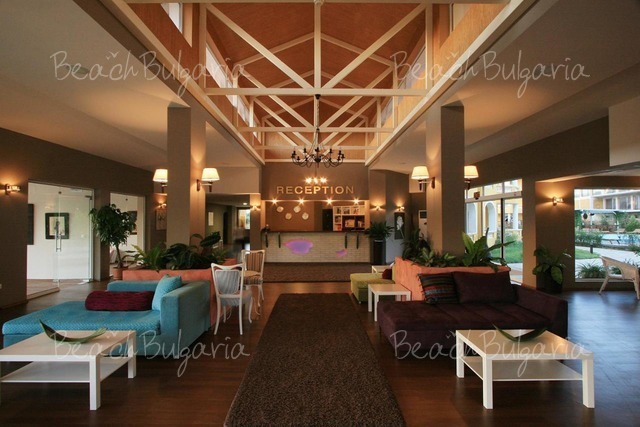 The property offers main a-la-cart restaurant, serving Bulgarian and international cuisine and selected wines. 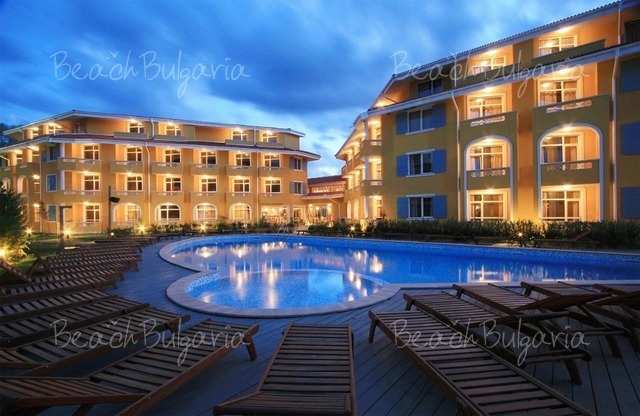 The complex offers swimming pool area with sunbeds and parasols, children playground and tennis courts. The spa center includes indoor heated swimming pool, massages and different therapies. - Animation for children and adults. Games room, bicycles, tennis, mini football, volleyball, jet ski, surf school, banana. * The prices are in Euro, per room/apartment on All Inclusive base. 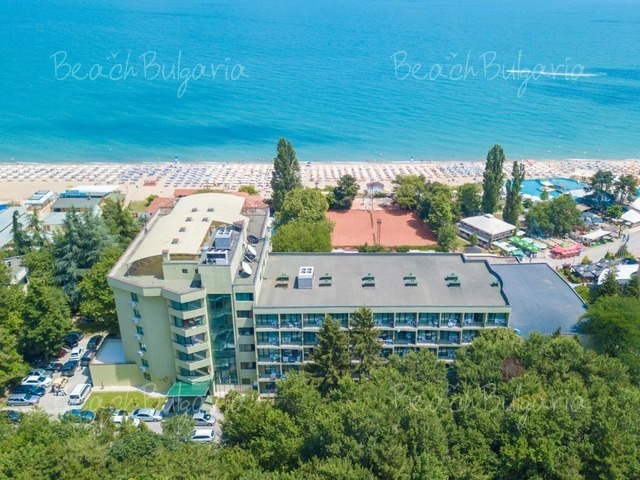 Guests of the hotel can use swimming pool, sunbed, parasole on the beach (upon availability), internet and parking. * Maximum capacity: Double room - 3 adults or 2 adults + 1 child; Studio: 2 adults + 2 children or 3 adlults; Apartment - 4 adults. * Cancellations can be made free of charge providing details of this are received at least 7 days prior to check-in time on the day of arrival and 10 days during 10 July - 25 August - cancellations made after this period will incur a fee equivalent to the cost of two night's accommodation. Please, post a comment on Blue Orange Complex.